Set sail under the stars for your supper this Valentine’s with Cinnamon Kitchen and MBNA Thames Clippers for a Valentine’s with added spice. For the ultimate romantic experience, hop on board the River Bus with your loved one at any one of their 22 London piers where a glass of prosecco awaits. 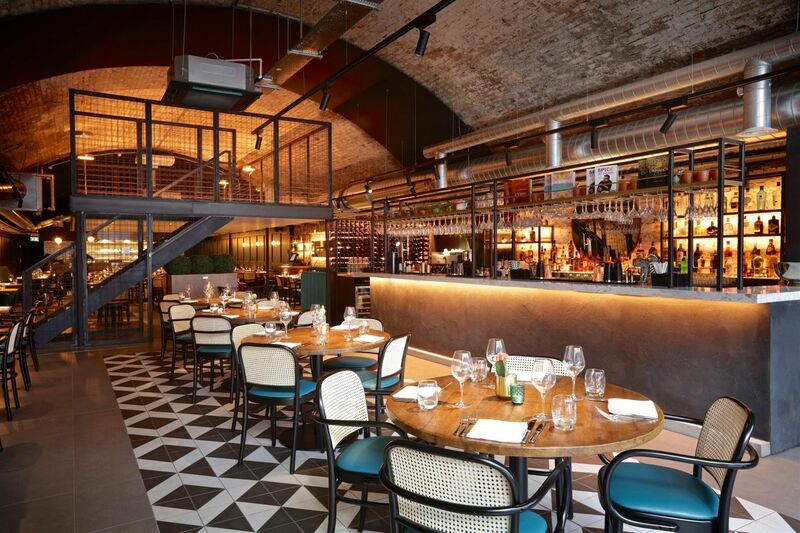 Take in London’s numerous landmarks before disembarking at the iconic Grade II listed Battersea Power Station and heading for Vivek Singh’s renowned modern Indian restaurant Cinnamon Kitchen Battersea. Embark on a second journey, a flavour odyssey with a delicious four-course feast of flavoursome East-meets-West dishes. Begin with a vegan-friendly appetiser of avocado hummus and padron peppers before diving into delectable starters such as grilled aubergine with sesame, tamarind and peanut crumble or Achari lamb fillet, paprika raita and anchovy chutney. Follow with Malai kofta- spiced paneer dumpling in tomato fenugreek sauce (v); Bengali style king prawns or rump of lamb with masala mash; all accompanied with garlic naan and black lentils. End on a sweet note with a trio of desserts including dark chocolate mousse, Himalayan Queen and sticky ginger toffee pudding with cinnamon ice cream. The special Valentine’s Day four-course menu package includes return travel from any pier on the MBNA Thames Clippers route* to Battersea Power Station priced at £70 per person. Available for lunch and dinner reservations Thursday 14th-Saturday 16th February. Single trips are also available for £60 per person.